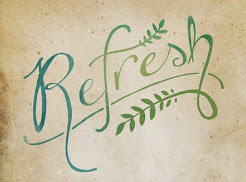 The 2016 Refresh Homeschool Moms' Retreat registration is now open! Registration will be ending on November 15th. We have great speakers and yummy meals lined up for a fun, relaxing weekend! Come join us and be rejuvenated and encouraged in your homeschooling journey Feb. 19th-21st at the gorgeous Ross Bridge Resort. All the details and registration links can be found at www.refreshhomeschoolretreat.com. See you in February!